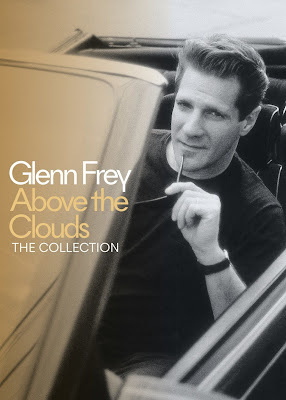 The late Glenn Frey’s career is being celebrated in a new 4-disc box set, “Above The Clouds: The Collection”, due for release on May 11. The Eagles co-founder, who passed away in January of 2016, carved out a notable solo career during their hiatus in the '80s and beyond. Frey scored chart success with such hits as "The Heat Is On," "You Belong To The City," "The One You Love," "Smuggler's Blues," and "I Found Somebody", among others. The 3CD/DVD “Above The Clouds” compiles the key elements of Frey's music both before and after The Eagles became international superstars, showcasing the broad range and wide influence of the Detroit-bred singer-songwriter in the process. Subtitled “The Very Best Of Glenn Frey”, the project’s first disc presents the guitarist’s major chart hits, and will be available as a stand-alone disc as well as part of the box set. The third disc presents the early output of the duo formed by longtime friends Frey and JD Souther known as Longbranch/Pennywhistle. Originally released in 1969, the self-titled record offers the duo’s country rock/folk set. “Above The Clouds” is rounded out with a live DVD filmed at the National Stadium in Dublin, Ireland in July 1992 on Frey’s ‘Strange Weather’ tour; the set mixes solo tracks with Eagles classics. In January, the guitarist’s widow, Cindy Frey, filed a wrongful death lawsuit against Mount Sinai Hospital in Manhattan over her husband’s passing. The suit accuses the hospital and gastroenterologist Steven Itzkowitz of negligence for failing to properly treat the rocker’s ulcerative colitis, diagnose and treat infection, and advise of the risks and side effects from treatment. The Eagles – with Frey’s son Deacon and country star Vince Gill on board as touring members – recently launched an extensive North American tour that will run into late October.